Olympian Gymnasts . . . The jumps of the smallmouth bass are spectacular feats of athleticism. You could jump from the lawn to the tip of the gable in one hop if your legs were so strengthened to scale. Smallmouth Season. Small Creeks. The smaller waters where smallmouth reside, if only for the warmer months, offer slow runs over submerged logs rooted in silt, or stretches of swifter, shallower water where the shoulders of boulders break the clean current. The small stream smallmouth is a seasonal fish. 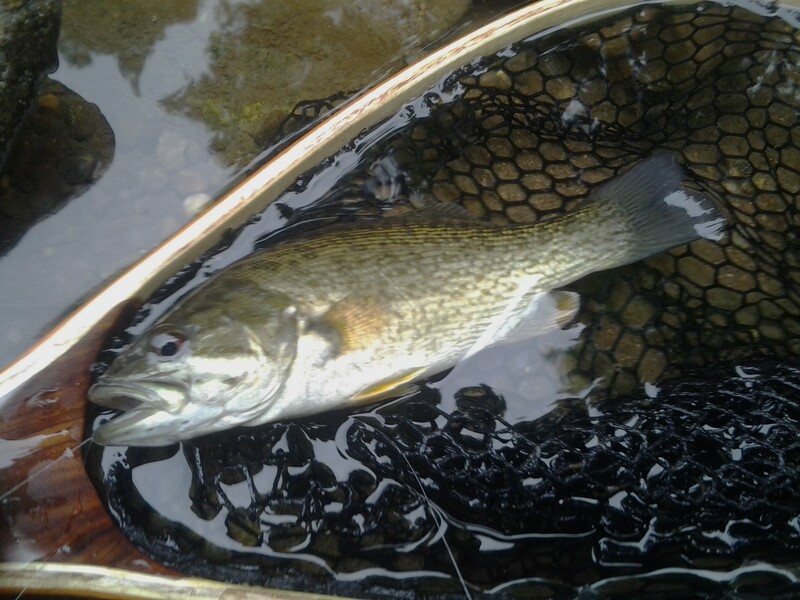 Bass swim upstream into these tributaries of larger flows in search of secluded spawning areas, cooler water, more relaxed currents. One may find only a half dozen such stretches of several hundred feet along one or two miles as the map reads. Here plenty of creatures forage and become forage for the bass. Summer is also a time when large caddis dry fly patterns can coax fish rising to such naturals. 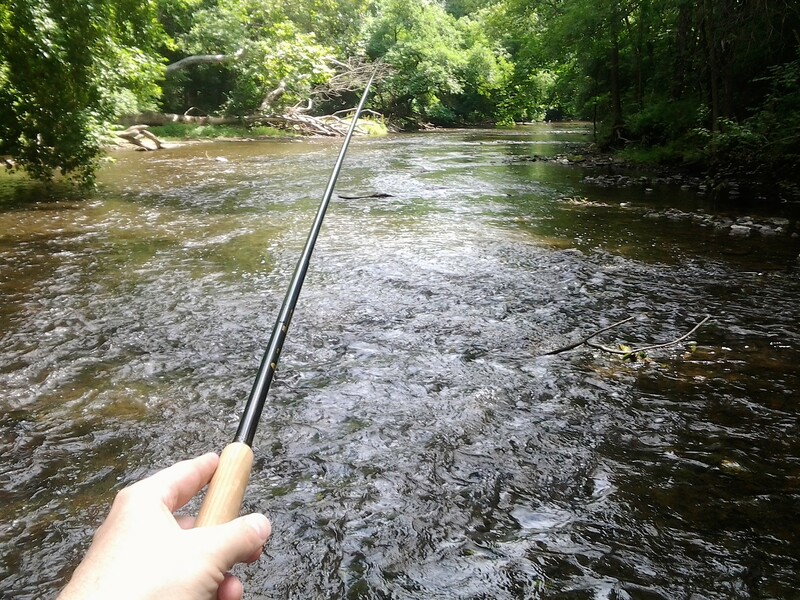 I have used the Deer and White, size 12, on streams where a smallmouth one foot in length was the average. The standard of measure I use is The Jump. Most bass of this size are Olympian Gymnasts above the water. Vertical jumps of several feet numbering as many as six, the smallmouth has both height and number! The rare use of the exclamation point is earned. Smallmouth bass are that exciting to seek out with rod, line, and fly. 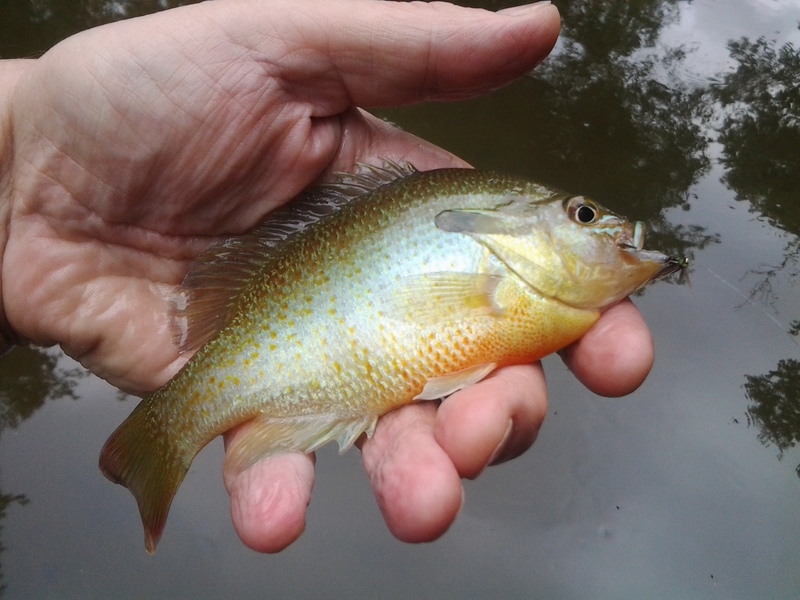 In between, the encounter with the redbreast sunfish gives added weight to the pull I feel for small bass streams in summer. And redbreasts do pull; they fill the role of permit here. 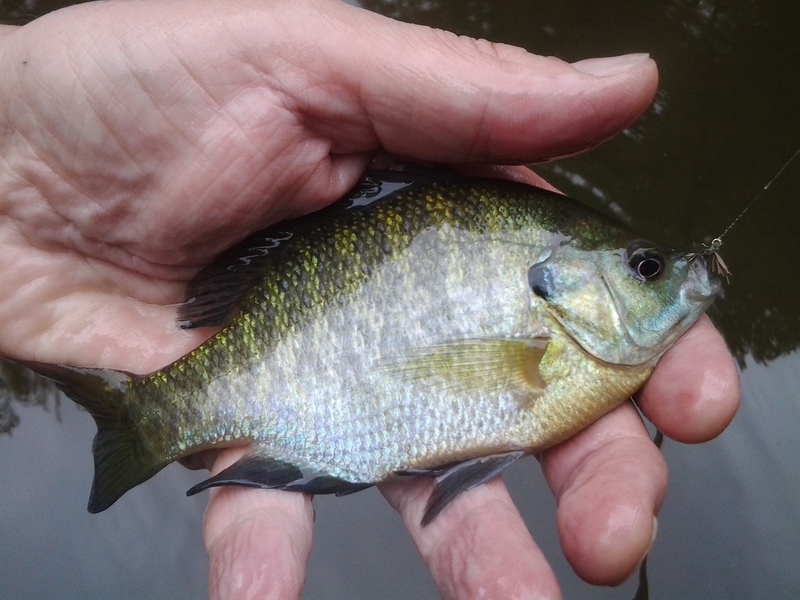 The occasional stream bluegill may pop up, too. As may the fallfish take the place of tarpon. 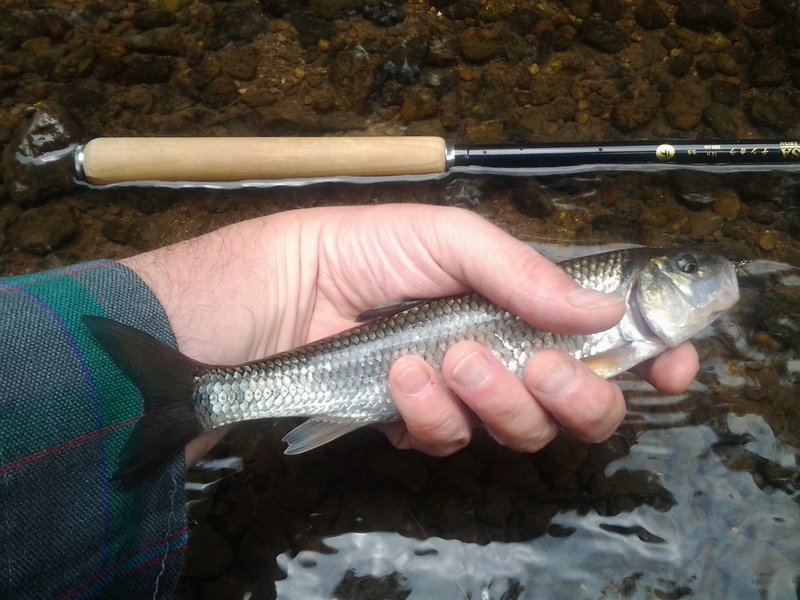 Large adults of twenty inches, silvered and strong, match the profile and can porpoise in defiance of any standard or tenkara fly tackle.